A Church minister has won a top prize for his irreverent magic skills. 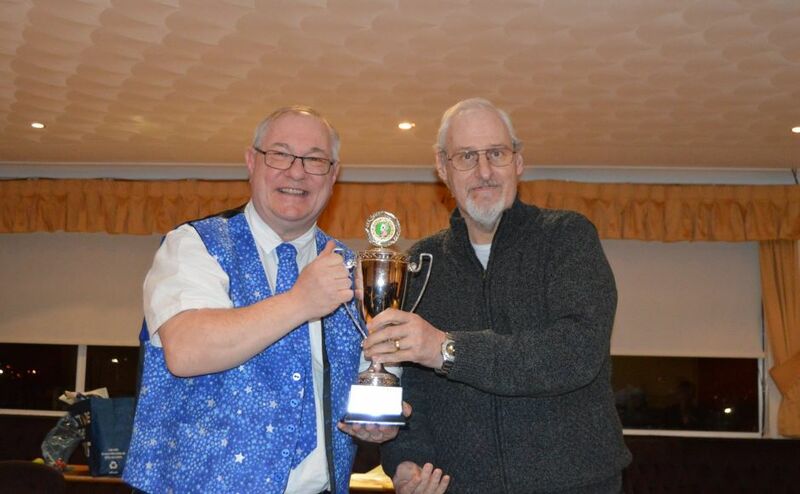 Rev Bill Wishart, 52, was presented with the Harry Kidd Cup for parlour, stage or stand-up comedy magic by the West Lothian Magic Circle. L-R Rev Bill Wishart and club luminary Greg Forbes with the Harry Kidd Cup. West Lothian Magic Circle. The minister, who leads St Martin's Church in the Portobello area of Edinburgh, said he was “chuffed” to have scooped the accolade. 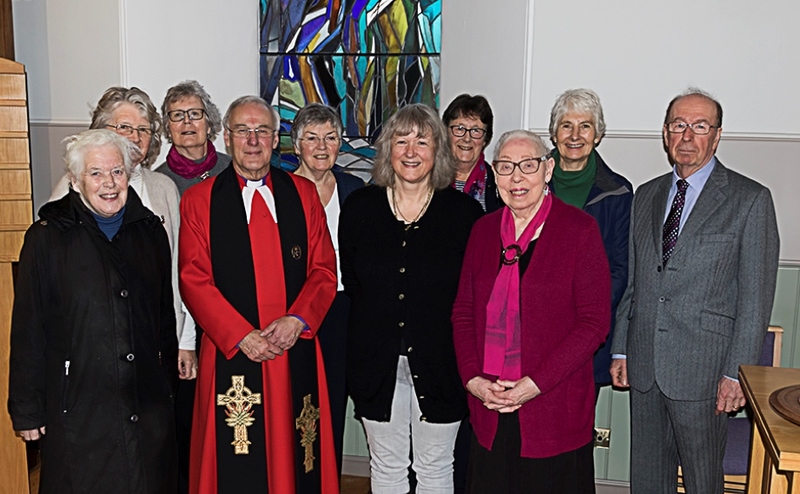 Mr Wishart, who was ordained in October last year, wowed the judges with his comedy routine called The Blades of Death, which involved The Crochet Needles of Doom, a trick called Knitty, Knitty, Bang, Bang and the Disecto Arm Chopper. 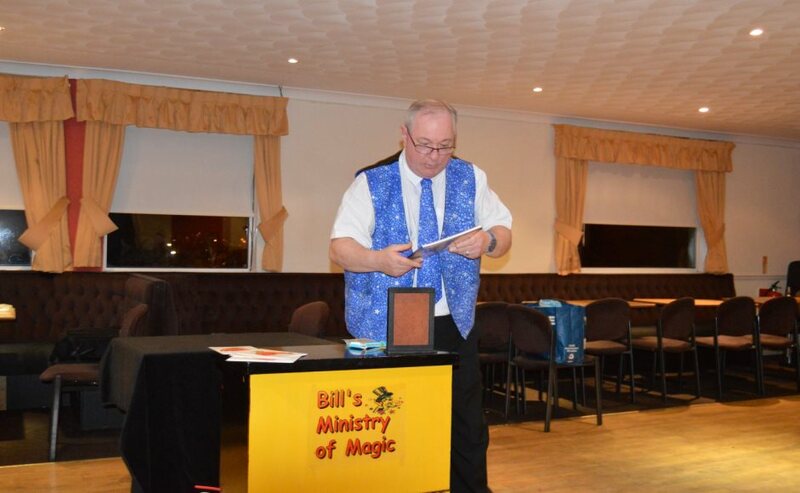 His love of magic began 17-years ago, and he performs under the stage name 'Bill's Ministry of Magic'. Spellbinding - Rev Bill pulled out all the stops to wow the judges. West Lothian Magic Circle. 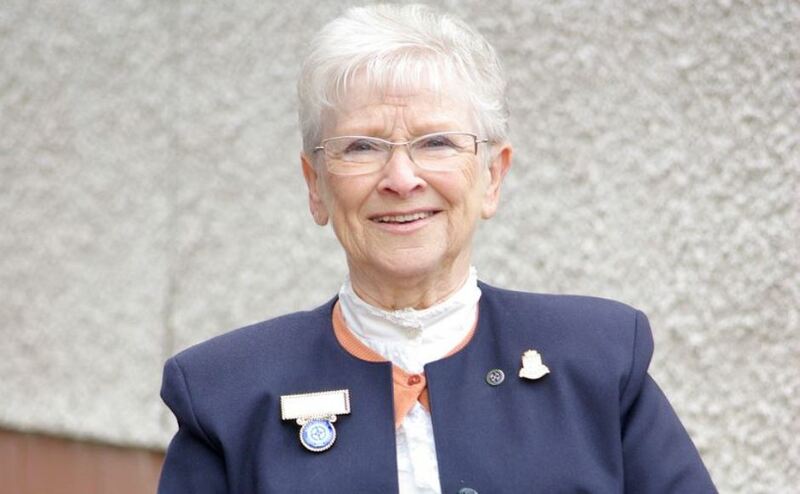 Mr Wishart, who is married to Erica who is also a Kirk minister, said: “The Harry Kidd Cup is competed for every year at West Lothian Magic Circle and is named in honour of a former member of the club who has passed away. “I’m delighted to have won a trophy named after such a great of Scottish Magic. 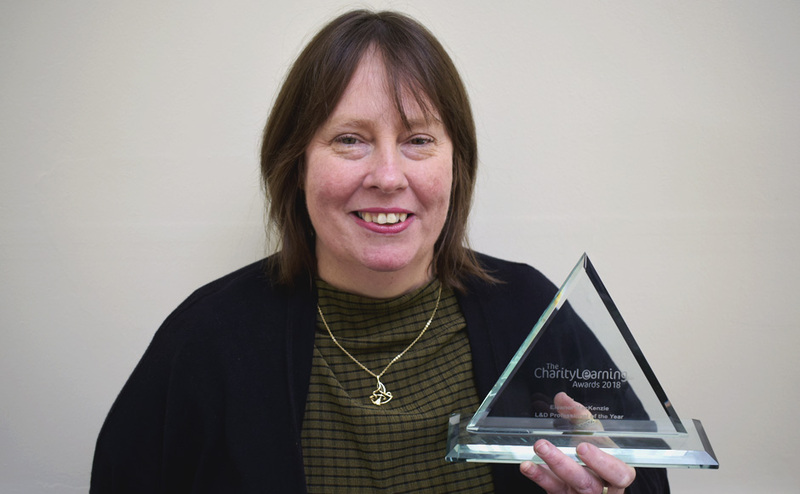 “It’s wonderful that the judges, distinguished fellow club members with many years’ experience of magic, enjoyed my act enough to award me the trophy. Mr Wishart was presented with the trophy on Thursday.